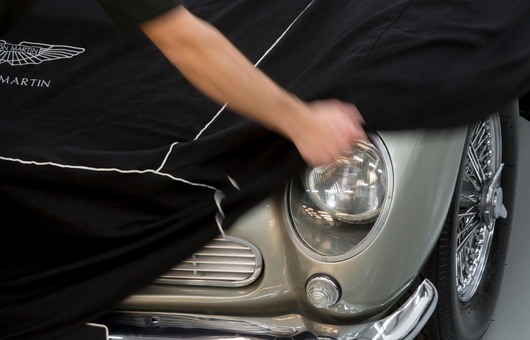 We will frequently be catching up with Peter Hamilton, our service manager for a quick update on what's going on at Aston Service London. 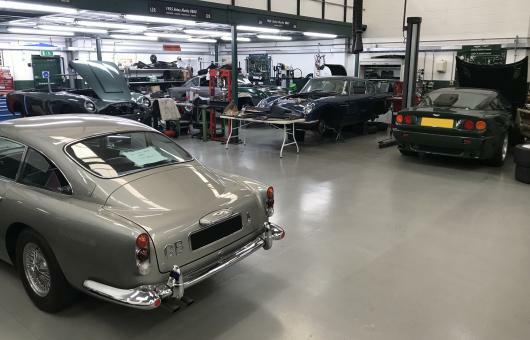 ‘Pre-tour prep’ on an Aston Martin DB3S and DB4 GT Zagato - full lights and levels and extensive test mileage and fine adjustments to ensure both cars are running as they should before they begin the event. Aston Martin Lagonda air conditioning overhaul and upgrade – complete inspection and testing of the complicated heating and air conditioning system of the Lagonda with the vacuum pipes being replaced and whole system upgraded. 1977 Aston Martin V8 investigation into engine misfire – after extensive investigation into a severe engine misfire in this V8, the cause is believed to be a crack in the head. As such the engine is being stripped and will require a complete rebuild. ‘Sales prep’ on Aston Martin DBS Carbon Edition – following sale from our partners Aston Sales of Kensington, we carried out a full service and health-check on a 2012 DBS Carbon Edition before it was handed over to its new owner. 1992 Aston Martin Virage Volante ECU damage – full investigation into believed damage to the ECU of this 1992 Virage Volante. It is now believed that the ECU has suffered water damage through severe ingress, but further investigation is ongoing.